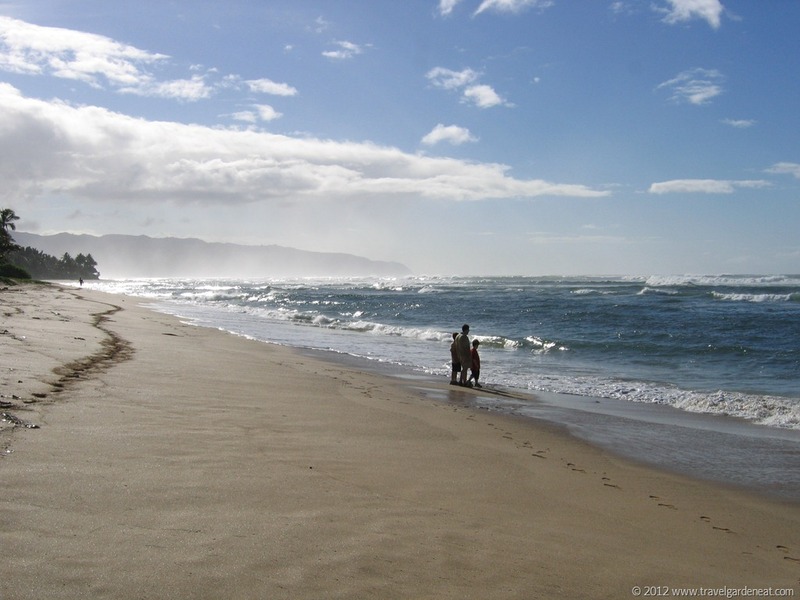 Kat’s Weekly Reflection of Gratitude: Life Moves Pretty Fast – Travel. Garden. Eat. 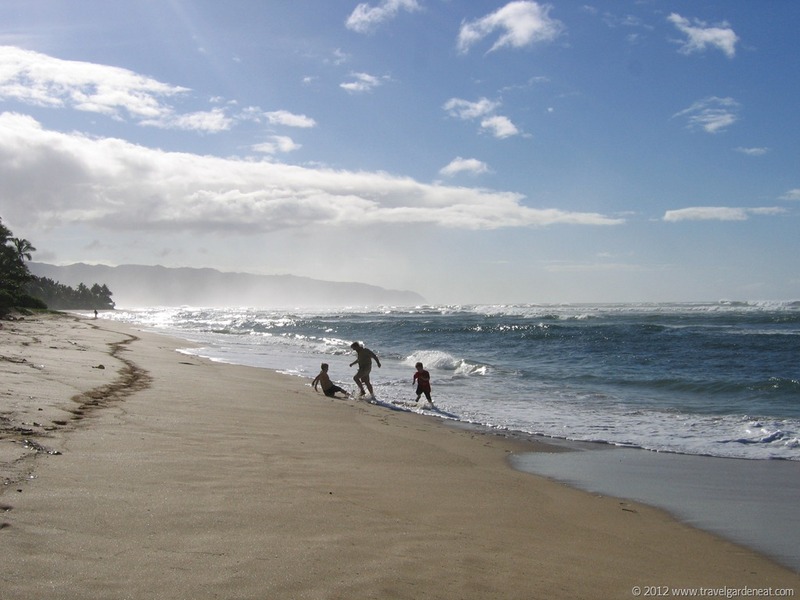 Many years ago as we drove along the North Shore of Oahu, we stopped at one of the empty beaches and watched the mesmerizing surf. 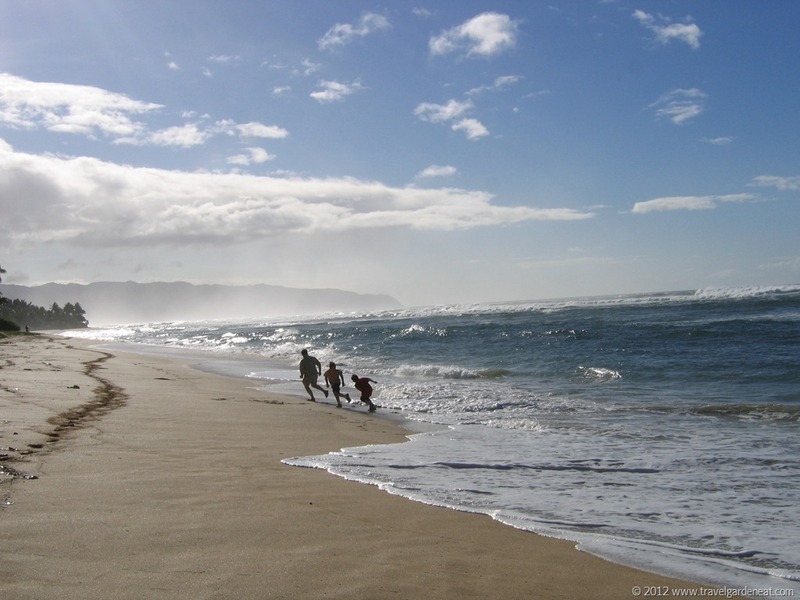 My husband and two sons walked along the edge of the surf and started racing the water as it licked at their feet. The waves won that race, but more joyful losers have probably never been seen. Whenever I look at these photos, I reminded of one of the pleasures of travel – escaping the day-to-day distractions and demands of life, and finding time to be completely mindful of the wonder of the moment. Whether it be for an hour or for a day, the sights to see, things to do, and places to visit need to be set aside from time to time. The favorite travel memories are usually never found in the guidebooks. Gorgeous photos, Kat. And I love the quote – another one for my file!! Thank you. Blessings and have a great day. To be mindful of the wonder of the moment~~yes, you have summarized my entire spiritual desire, Kat. I love the imagines of your family and the waves. Especially that second image. It is compelling. Speaking of gratitude, I must say, I love this blog. I was grateful to receive the Lovely Blog Award, and I’m passing it on to you: Rules here for passing it on should you choose to accept. http://bit.ly/SbGmgY . Even if you do not, I think this is a great blog and I’m glad to have connected with you. My husband, daughter and I were there a month ago for my mother-in-law’s funeral. Sad occasion…wonderful memories…lovely celebration of an extraordinary mother of 12. Pingback: Weekly Photo Challenge: Silhouette | Travel. Garden. Eat. Love this post. I remember Ferris Bueller but I don’t remember that line. Thanks for sharing!